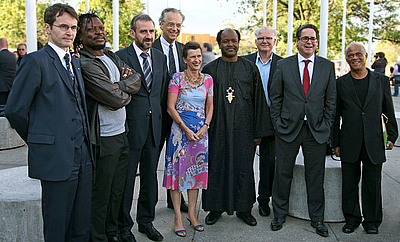 During summer 2010, five internationally renowned artists of African descent will show their art on the grounds of the Nationalgalerie Berlin. 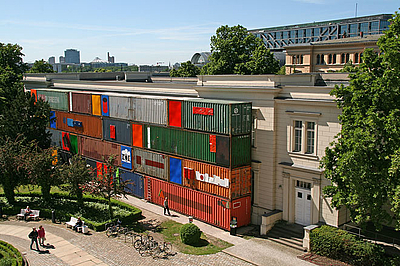 El Anatsui, Zarina Bhimji, António Ole, Yinka Shonibare, and Pascale Marthine Tayou have been invited to present themselves in the various, architecturally significant buildings in which the Nationalgalerie accommodates its large collections of art from the 19th to 21st century. Their artistic treatment of the different stylistic, political, and social references will conspicuously mark the buildings and their collections during the course of the project. The ensemble of the Nationalgalerie will thus become an itinerary of large-scale, sculptural, and installation-based works, which are for the most part created outdoors in a site-specific manner. The participating artists prompt a dialog on questions that, in face of the current radical economic, social and political changes, are more relevant that ever. Is uncertainty regarding the future the greatest certainty we now possess? The title of the exhibition, "Who Knows Tomorrow," was inspired by an inscription on a small bus in Africa that was photographed by chance. This maxim of life widespread in Africa now stands for the meaning-generating theme of the exhibition. 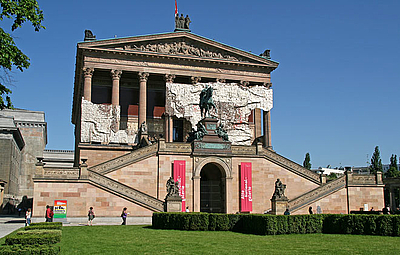 A Nationalgalerie is and always has been a mirror and the expression of the nation's history and present. 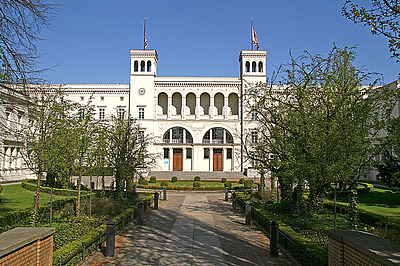 Each of its buildings is linked to specific historical situations. The exhibition uses this context as a field of projection and tension. It looks to the past, to the future, and especially to the present. The works of the participating contemporary artists address issues related to identity, globalization, and history. 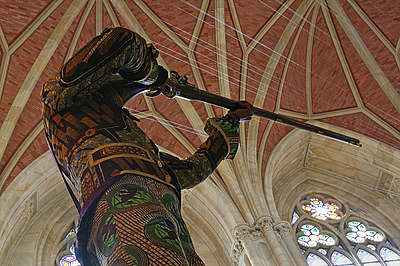 Far from claiming to represent or, even less, appropriate current African art production, the exhibition is instead dedicated to leaving monuments of German history to artists of another continent, raising the question as to what and whose history is narrated and written down. How does art contribute to overcoming (art) historical constructions, clichés, and stereotypes? The artistic projects reveal the entanglements and connections between Africa and Europe: The contours of the political map of the African continent still existing today were marked out at the "Berlin Africa Conference" in 1884/85, sealing the division of Africa among the Western powers. 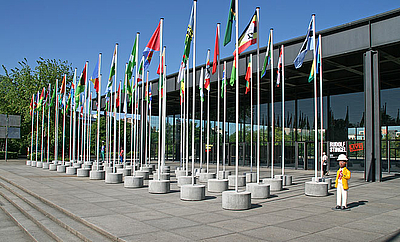 Hence, the history of Africa's colonization is closely linked to the situation of Berlin at the end of the 19th and the beginning of the 20th century. Fifty years ago, in 1960, seventeen states initially became independent. Both historical events are connected to questions of a national sense of belonging and identity.